My tribute: Is the resurrection real? Obviously there are some big and very compelling evidence that Jesus did in fact rise from the dead but first lets go back to the trial of Jesus and have a closer look at what He went through, just to satisfy ourselves that Jesus was in fact dead and didn't just swoon (whatever that is) as some would have us believe. After his so-called trial and sentencing, Pilate ordered Jesus to be scourged. The Romans scourge was probably one of the most barbaric instruments of torture other than the cross to emerge from the very depths of hell and wielded at the hands of men. The scourge itself was made of the sinews of oxen and sharp bits of bone which were plaited through it at intervals; so that every time the lash came down on the bare body of Jesus, great lumps of flesh came away from His bones and not just from his back. A scourging, more often than not resulted in the death of the victim, negating the necessity of an execution. But Jesus was on His mission - the mission of Salvation. After the scourging they mocked Him plaiting a crown of fierce thorns and shoving it down on his head calling Him "the King of Jews", they pulled out His beard and punched Him in the face. Jesus survived all of that - It was more than likely a normal healthy male would probably have died through such an ordeal. But then he had to carry that tree/cross through the gates of the city to Golgotha. Jesus could NOT have survived the crucifixion. The blood loss alone, the trauma, the shock, the nails, the pain would have been more than enough for most. Roman procedures were very careful to eliminate any possibility that the victim was alive after such an ordeal. The death penalty was waved over the head of any soldier who let a capital prisoner escape. When taken down from cross - Jesus' body was tightly bandaged and put in a cave with a huge boulder across the entrance. If he did awake where did he go? How could a 'swooning' (whatever that is) half dead man have moved that boulder? Could these rough, strong guards be overcome by a 'swooning' corpse, considering everything he had gone through? The disciples were blamed for moving the body of Jesus, but with soldiers guarding the tomb even if they were asleep, the very effort of Jesus' rescuers attempting to move such a huge rock would have awakened them. Anyway the disciples would never be able to overcome the force of Roman soldiers. No! 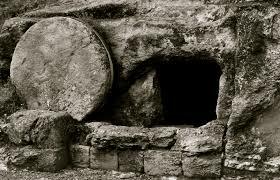 Jesus was dead when they laid Him in that cave - So we are left with the Question "Did he really rise from the dead?" There are just many witnesses that actually saw Jesus after His death - from the very earliest records a whole swag of Jews not only believed but taught that Jesus had been raised from the dead. There is absolutely no dissent at all that Jesus appeared after his death to his followers. Mary was the first eye witness, followed by His disciples. The resurrection was so startling at first that many doubted and found it hard to believe. Therefore, for more than a month afterwards, Jesus supplied his disciples with many convincing proofs that He was in fact alive. Thomas was even shown the results of His horrific death and torture because of his doubts. A lot of these witnesses were stunned into worship as they laid eyes on the very living form of Jesus. You, like me may need to be shown the very logic of scripture or others may need to be confronted about mistaken spiritual beliefs or like Thomas some get hung up on the very physical side of Christianity and can't believe, by faith, of the very grace of God. One thing is certain - Jesus did die! 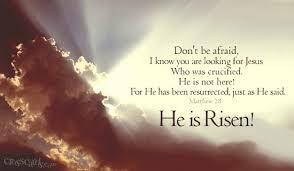 Jesus did rise from dead! without those two amazing facts our faith means nothing - we are like a rudderless ship tossed about on the ocean with no hope of rescue just abandoned to the elements. Jesus was willing to do whatever it took to in order to help us believe. The chapters in the Gospels regarding Jesus' Crucifixion and resurrection are a bracing slap in the face to all of us believers who are lulled into taking our salvation for granted. We should never underestimate what it cost Jesus. The false accusations, the rigged trial, the flesh-gouging scourging, the mocking, the beatings, the crown of thorns, the anger of the crowd, the excruciating journey to Calvary, the nails, the weight of hanging on that cross and the sheer horror of being abandoned by God his Father. The price He paid - The gift he offered - All for us. 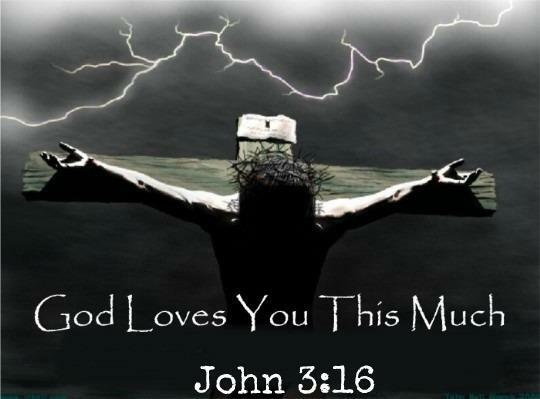 Jesus paid it all for us - follow the one man that can conquer death. It doesn't matter how messed up we are we all need to get right with Jesus. The resurrection is true, lives are transformed and re-birth a real possibility. Christ is alive - guiding our lives, healing, touching and giving new life - HALLELUJAH! Why do I keep on Sinning???!!! Hold On - Press on - Hang on tight!